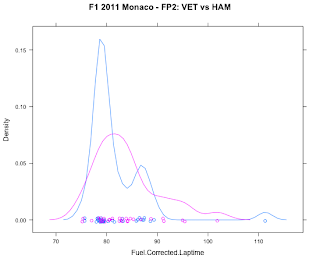 You can download and save these files from my Google spreadsheet archive of the Monaco data by right-clicking on the link and choosing "Save Link As..." or something similar. 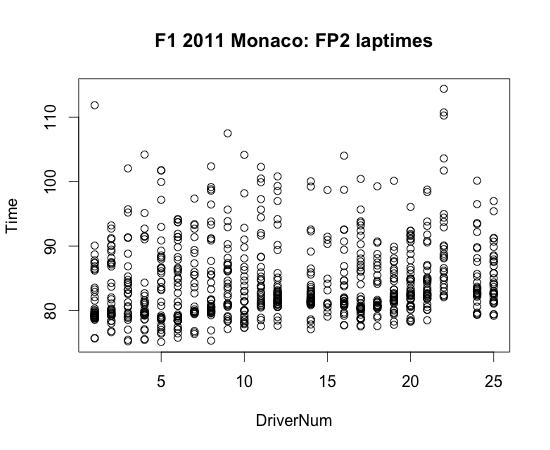 I saved the files as mco_2001fp1laptimes.csv and mco_2001fp1laptimes.csv respectively. 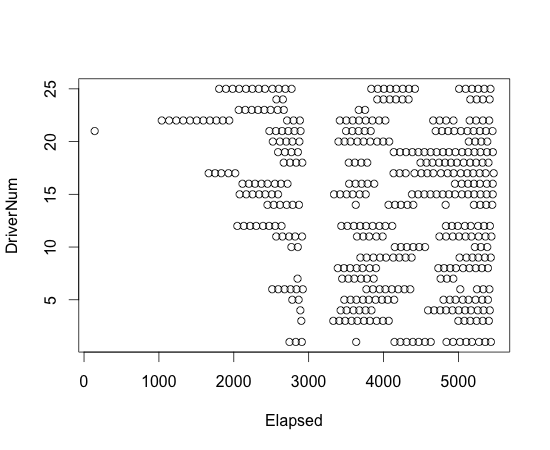 In Rstudio, you can now load in the data using the Import Dataset option. 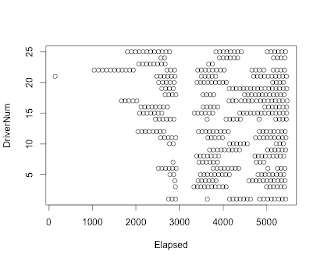 Here, the first command says: for dataset mco_2011p1laptimes, add a column ($) fpsession and set the value of each cell in that column to 1. 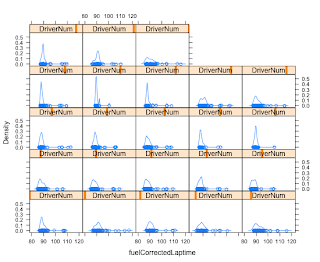 Now we can concatenate the two datasets (rbind, which maybe means "row bind"?) 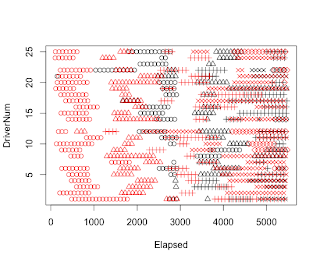 into a single dataset (bothfp), whilst still being able to reference each sessions times directly via the fpsession column. 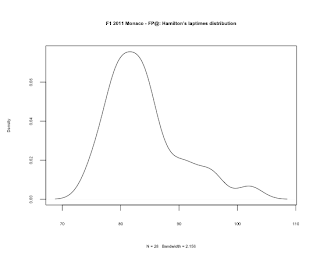 Here, par(ps=10) says: first set the parameter ps (font size) to 10, then print the title. 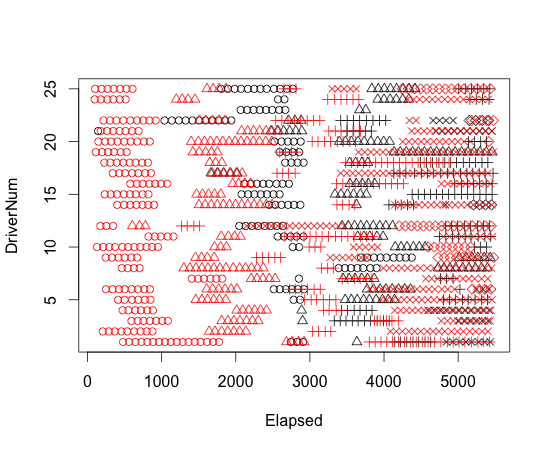 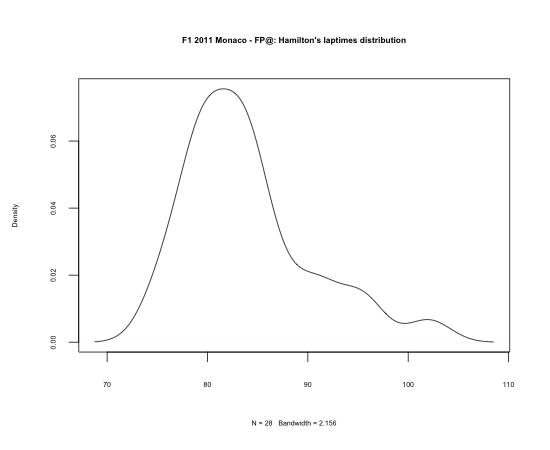 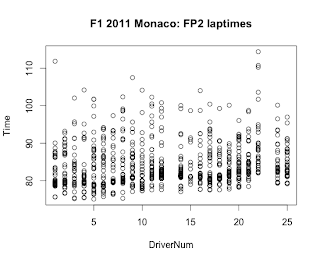 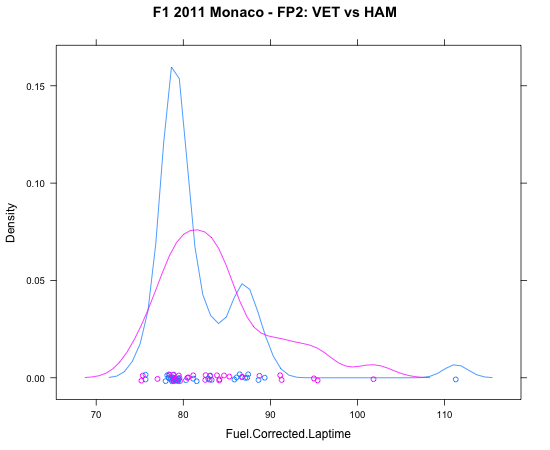 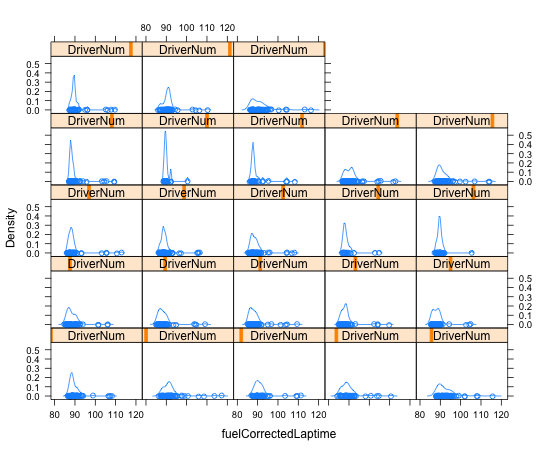 If we want to look at the distributions of laptimes by driver, we can plot the "density" of laptimes according to driver (this is a bit like a histogram, but it uses a continuous line to display the distribution of the laptimes).